The focus shifts from cruiserweights to super middleweights this Saturday (Sept. 16) in World Boxing Super Series (WBSS) quarterfinals action as undefeated, elite 168-pound fighters Callum “Mundo” Smith and Erik Skoglund throw-down at Echo Arena in Liverpool, United Kingdom. Canadian boxing fans will be able to watch all the tournament action live, including Smith vs. Skoglund, on Super Channel, which acquired the rights in Canada to broadcast the World Boxing Super Series from MP & Silva, a leading international media company that provides media rights, digital, technology and sponsorship services. The “O” must go in Saturday’s initial super middleweight fight in WBSS tournament as undefeated boxers Smith and Skoglund battle in the 12-round main event, airing live on Super Channel at 6 p.m. ET / 3 p.m. PT, for the vacant World Boxing Council (WBC) Diamond Championship. The “Smith vs. Skoglund” card start time on Super Channel is TBA (check for updated details on www.superchannel.ca). Smith (22-0, 17 KOs), fighting at home in Liverpool, is rated No. 8 by The Ring magazine. He is a former WBC Silver and European super middleweight champion who is a rising star. “A ring is a ring no matter where it is, but course, I’m happy to be fighting in Liverpool,” Smith admitted. “This is my home and this is where all my best performances as a professional have been. I like fighting in Liverpool, and with the crowd behind me, I will have an added advantage. “There are no easy fights in this tournament. It’s the best fighting the best, but I believe I made the right decision (choosing Skoglund) in Monte Carlo (at the WBSS Draft Gala). That’s not to say Skoglund is not a good fighter. I think he is a very good fighter. His record speaks for itself, but I think stylistically, he was the right choice for me. 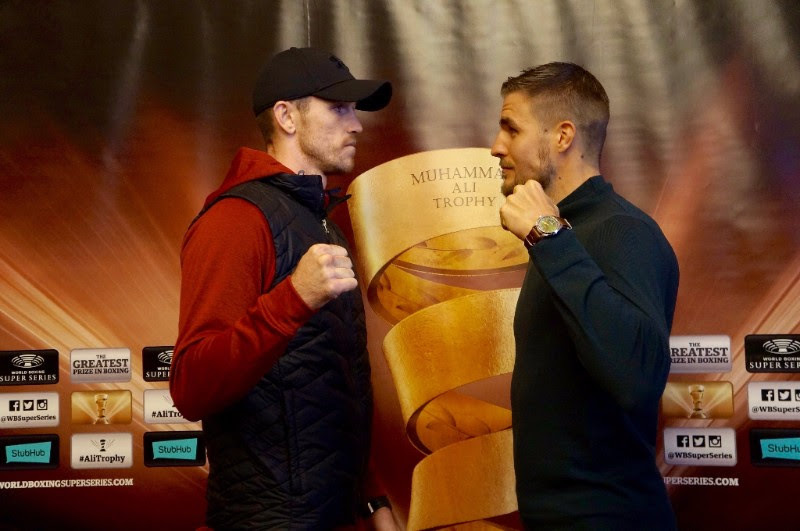 Skoglund (26-0, 12 KOs) was ranked by all four major sanctioning bodies as a light heavyweight before moving down in weight to compete in the WBSS as a super middleweight. The 26-year-old Swede has been the IBO, WBA International and European champion. “This is a huge opportunity for me to prove myself at the highest level,” Skoglund said. “Callum Smith is a top-level fighter and one of the tournament favorites. This is what the World Boxing Super Series is all about – the best fighting the best! That’s why I entered and that is why I’m really looking forward to this fight. The inaugural season of the World Boxing Super Series features two weight classes (cruiserweight & super middleweight), 16 fighters, and a total of 14 main events. An expert panel invited the world’s best boxers to compete, namely the top 15-ranked fighters of the four major federations: WBA, WBC, IBF and WBO. In each weight class, eight boxers will battle it out in a bracket-style elimination tournament, with four quarterfinals (September & October 2017), two semifinals (January & February 2018) and one championship final (May 2018). World Boxing Super Series is a new revolutionary bracket-style elimination tournament featuring the world`s best boxers and a total of $50 million in prize money. The knockout format of the competition will see the best boxers ultimately compete for the Muhammad Ali Trophy, the greatest prize in boxing. The tournament is organized by newly-founded Comosa AG, a Swiss-registered company with principal owners Highlight Event & Entertainment, Modern Times Group and Team Sauerland. Comosa AG is working in partnership with boxers, promoters and managers around the world, and in alignment with the four major world boxing federations, to create a new global platform for the sport. “Smith vs. Skoglund” card and several preliminary bouts, promoted by Matchroom Boxing, will air exclusively in Canada on Super Channel. All WSBB fights will also be available on Super Channel On Demand.